Animals around the world have lived alongside humans since the dawn of our species, many of them towering above us on land or dwarfing us at sea. Although the world is full of unique creatures, these 10 animals stand out above the rest for their impressive sizes. They surpass others in length or mass, and reign supreme in their own respective ecosystems. Whether they slither, amble, or swim, these creatures all have one thing in common–their massive size. Let’s take a look at some of the biggest animals that live in the world today, and learn a little bit about what makes them so unique. 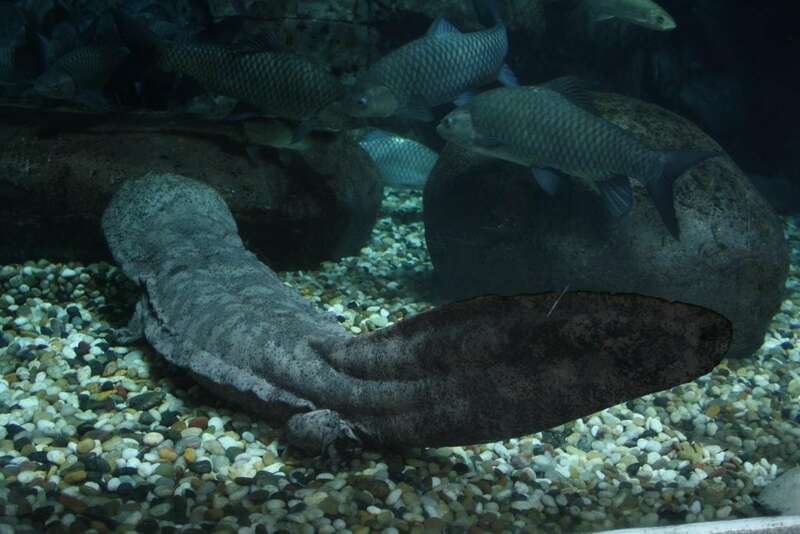 While it may not look that impressive next to behemoths like the African Elephant or the Blue Whale, the Chinese Giant Salamander holds its place as the biggest amphibian in the world– and certainly the largest salamander. This huge salamander has been known to live over 60 years in captivity, and its maximum lifespan remains unknown. Chinese Giant Salamanders mainly eat insects, fish, shrimp, and other amphibians. Their own biggest threat is humans, since they’ve been hunted for meat to the point of endangerment. The Chinese Giant Salamander is nicknamed the “wa wa yu,” which translates to “infant fish”. It gets this moniker from the strange noises it makes, which resemble the sounds of a whimpering human baby. The Eastern Lowland Gorilla stands above all others of its kind as the largest known living primate in the world. These truly impressive beasts walk on all fours, resting on their knuckles rather than the palms of their hands. Eastern Gorillas are born with black coats that eventually fade to silver at the tips as they age, giving the formidable adult males their nickname– “Silverbacks”. 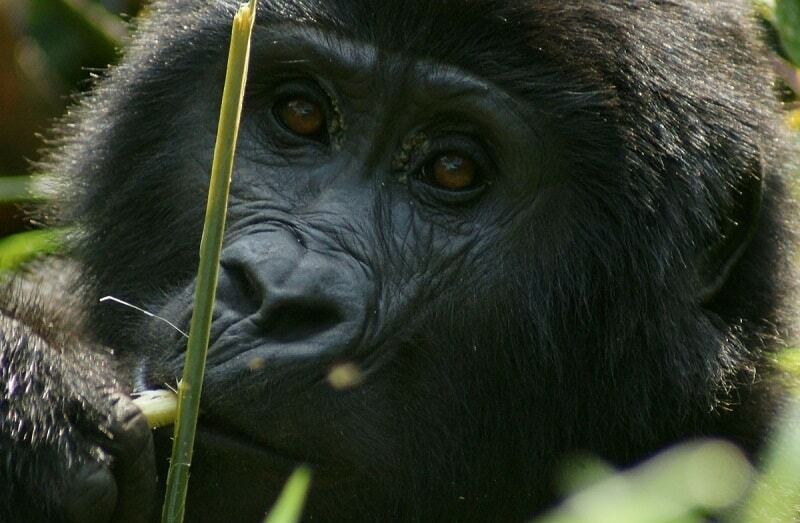 The Eastern Gorilla is critically endangered. Due to disturbances in its habitat resulting from civil unrest in the Congo, its population has declined dramatically. Their numbers have been estimated to have dropped by over 50% since the mid-1990’s. Conservation efforts have been put in place in hopes of saving this majestic primate. This massive member of the boa family inhabits the wet, tropical Amazon rainforest and Orinoco Basin. This adept hunter’s ability to traverse both land and water equips it to feast upon a variety of different animals. Deer, capybaras, caimans, and even large turtles make up this slithering predator’s diet and can sustain it for months after its last meal. 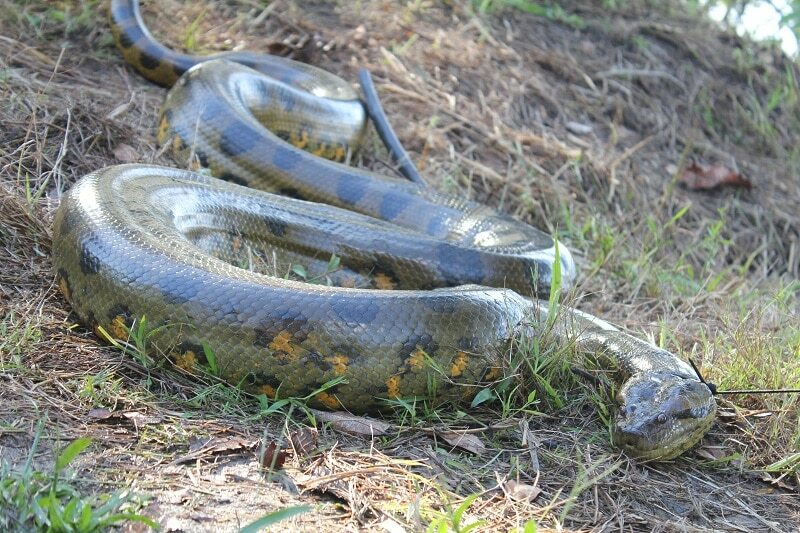 Like most other boa constrictors, the Green Anaconda kills its prey by crushing it to the point of asphyxiation. It then utilizes the stretchy ligaments in its jaw to open wide and swallow its prey whole. You may be surprised to learn that Polar Bears are classified as marine mammals. They’re placed under that category because they spend most of their time on sea ice, rather than on actual land. These large bears spend over half their time hunting for food, which mainly consists of seals. The Polar Bear population has been negatively affected by climate change, both in terms of habitat loss and in food availability. 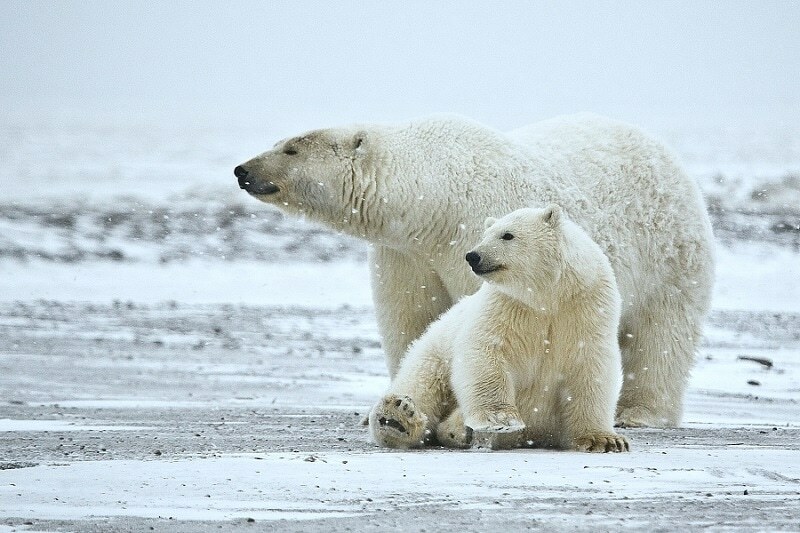 The melting of the polar ice caps has reduced the available space, for both the bears and their prey. These polar predators stand out against other bears as being extra communicative. They express themselves to one another with a wide variety of grunts, huffs, and hums. Hippopotami are the third-largest living land mammals. These sizeable creatures can run up to 19 mph on land and swim gracefully through the water, where they spend most of their time. After submerging themselves for upwards of 17 hours a day in order to escape the heat of the sun, the Hippopotamus will climb steep river banks after nightfall in order to graze on the nearby grass. Despite the number of hours spent grazing and the estimated 80 pounds of food ingested each night, Hippos actually consume relatively little compared to their body mass. 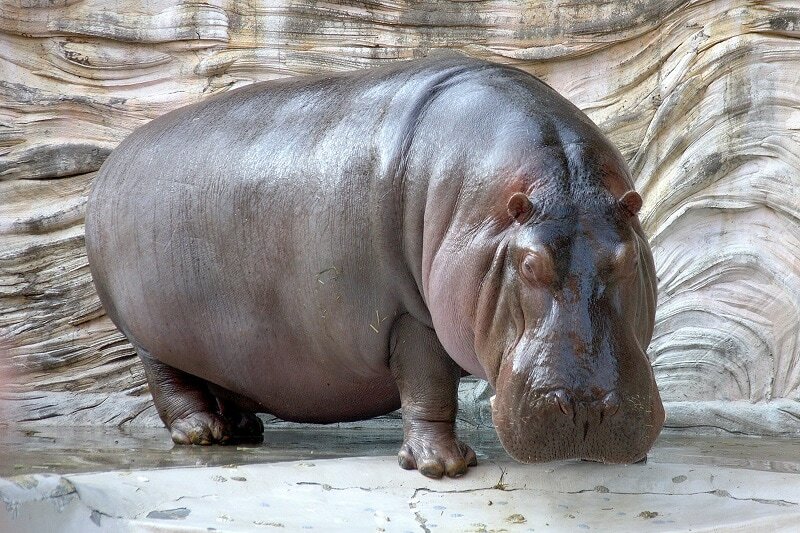 Hippopotami have smooth, grey skin that secretes an oily, red substance. This strange characteristic helps protect them from sun damage and harmful bacteria. People used to see this and think that Hippos secreted blood, establishing this belief as a persistent myth. The terrifying Saltwater Crocodile ranks as the biggest living reptile on Earth in terms of mass. Despite their name, these giant reptiles are perfectly equipped to inhabit bodies of fresh water, such as rivers and swamps. This particular variety of crocodile shows more aggression than its counterparts, and has built itself a reputation for having a nasty attitude towards humans. People need to watch out for these predators both in the water and on land, since they often leave the water to bask in the sun’s warming rays. 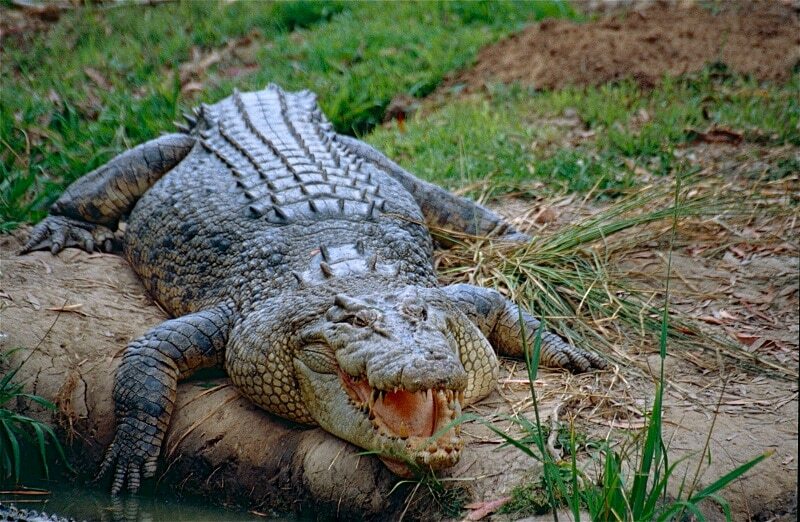 Between exterminations following crocodile attacks and a high demand for goods made from crocodile leather, the Saltwater Crocodile population was hunted to the point of endangerment. However, conservation and relocation efforts have arisen since then to help the population bounce back. The Elephant Seal is named not only for its size, but for the large nose sported by males of the species which resembles a short trunk. Northern Elephant Seals reside mainly along the Pacific coast of North America, while Southern Elephant Seals stick to Antarctic and sub-Antarctic waters. Their diet consists of deep-sea prey such as sharks, eels, and squid. Males are observed to keep to predictable hunting routes, while the females cover broader areas in search of food. 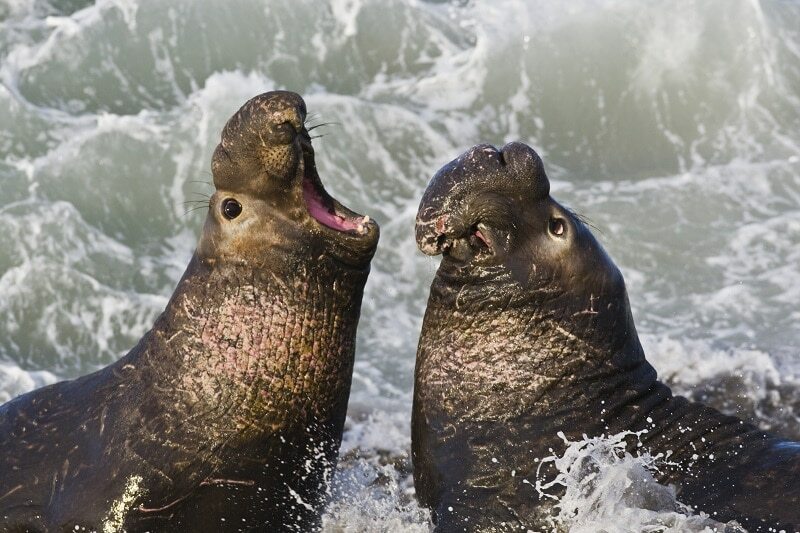 Male Elephant Seals can inflate their large snouts, making for a wide range of vocalizations. They gather on land at the onset of the mating period to intimidate and fight with each other for dominance before the females arrive. Not to be confused with the slightly smaller Giant Squid, the Colossal Squid sports shorter tentacles and a heavier body. 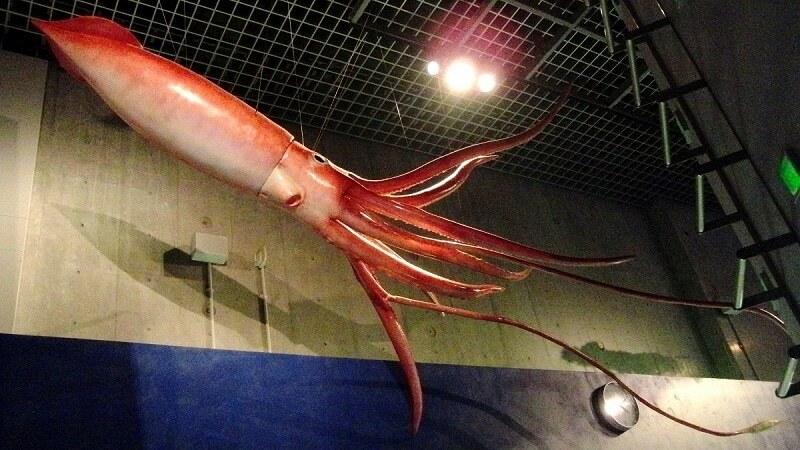 To make up for being shorter than those of its counterparts, the Colossal Squid’s tentacles feature sharp hooks in addition to suckers for added grip. Colossal Squid feed upon fish, and a few rare specimens have been inadvertently scooped up in the nets of unsuspecting deep sea fishermen. While these real-life sea monsters have been sighted and the occasional specimen has been studied, no one knows how big they can actually get. We do know, however, that their eyes can be bigger than a human head. 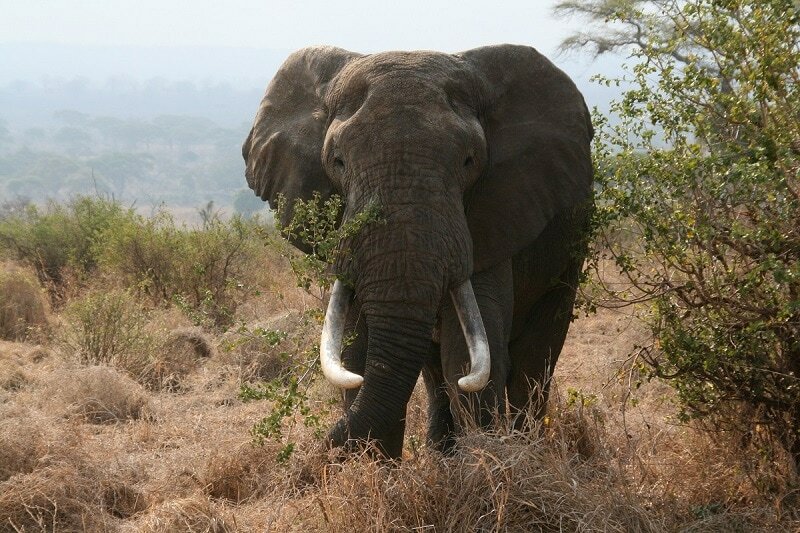 The African Elephant makes its home in East Africa and the Congo Basin, often grazing and dust-bathing in small herds. The two varieties of African Elephants prefer to inhabit slightly different areas, with the Forest Elephants and Savanna Elephants sticking chiefly to their namesakes. Their prehensile trunks allow them to graze and drink from the ground easily despite their height. Female and juvenile African Elephants are the most likely to stick together in groups. The males often wander the African plains solo, only socializing with others of their kind on occasion. Poaching and other forms of human disturbance have fragmented the elephants’ social structures even further. The Blue Whale is the largest animal in the world. This massive whale roams the world’s deepest seas, traveling between the Pacific, Atlantic, and Antarctic oceans. The Blue Whale is classified among the Baleen Whales, and filters up to four tons of Krill a day out of the frigid ocean waters for food. Blue Whales express themselves vocally, emitting a wide range of deep groans and other sounds to communicate with one another and navigate the ocean depths. 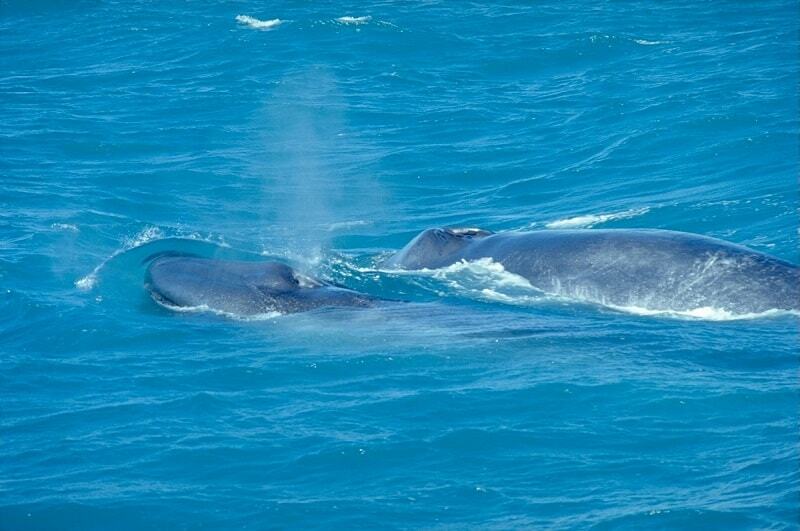 In addition to being the largest known animal on the planet, the Blue Whale also has one of the longest lifespans. Scientists can count the layers of ear wax to determine how old a deceased whale lived to be, similarly to counting the growth rings on a tree.